The Multiple Listing Services (MLS) that real estate agents use to find homes for buyers and market their listings is showing that from December 13, 2016 to June 13, 2016, 305 detached single families in Holly Springs have closed that are not new construction. During this same timeframe the MLS showed that 142 detached single family new construction homes have sold. Not all new construction homes are listed on the MLS as many are purchased as pre-sales and therefore not entered in the MLS, but this gives the consumer a solid indication that resale sales are robust. Currently, as of June 13, 2016 there are only 151 Holly Springs detached single family properties as listed actively for sale and not under contract. Right now interest rates are still at historically low levels with many buyers purchasing homes with loans in the 3-4% fixed interest rate rage. Generally, for every 1% increase in interest rates, a buyer loses 10% in buying power. This is creating a sense of urgency for many buyers and they know that rates cannot stay this low forever. Also, most of Holly Springs is still a USDA eligible area which many first time homebuyers find appealing. USDA, if the buyer qualifies for it, allows the buyer to purchase a home with 100% financing. Other buyers are finding that the quality and size of homes available in Holly Springs are exceptional compared to other areas like Apex, Cary and Morrisville. The proximity to HWY 540 and HWY 1 are also making it an easy choice for buyers who work in or around the Triangle. 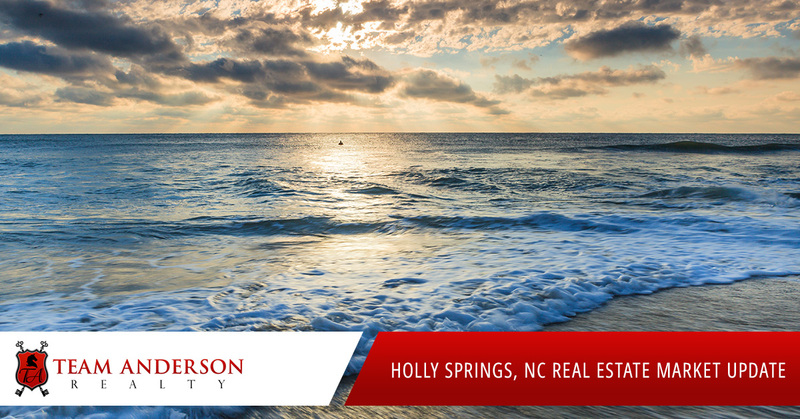 If you are looking to move to the Holly Springs, NC area, give Team Anderson Realty a call at 919-610-5126 today!